MARTIN & MARTIN boasts a long tradition as an independent label. 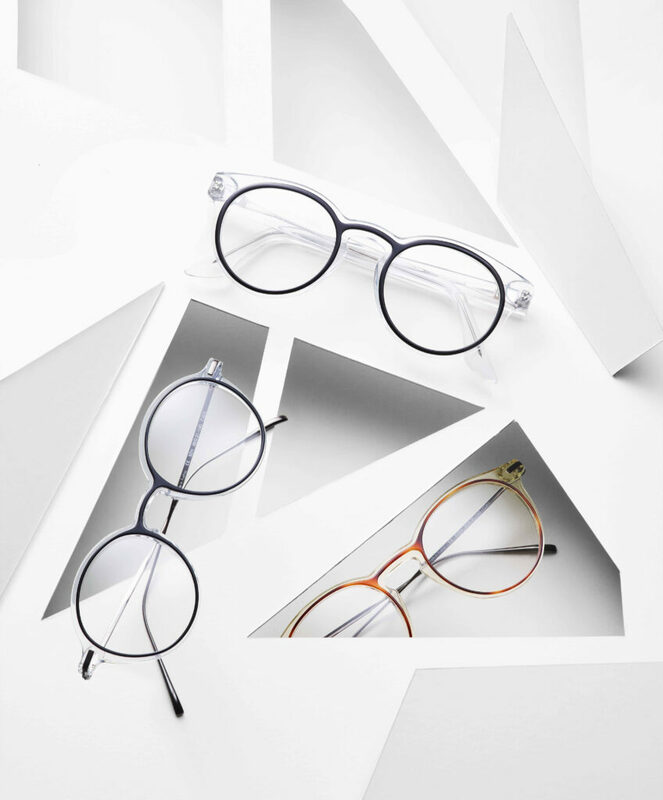 As of late, the specialists for acetate frames ‘Made in Germany’ have been playing with geometric shapes and cut-outs for a new level of three-dimensionality in their eyewear. The Cut-Out Collection effortlessly blends the comfort of wear offered by acetate frames with the delicate refinement of metal frames. 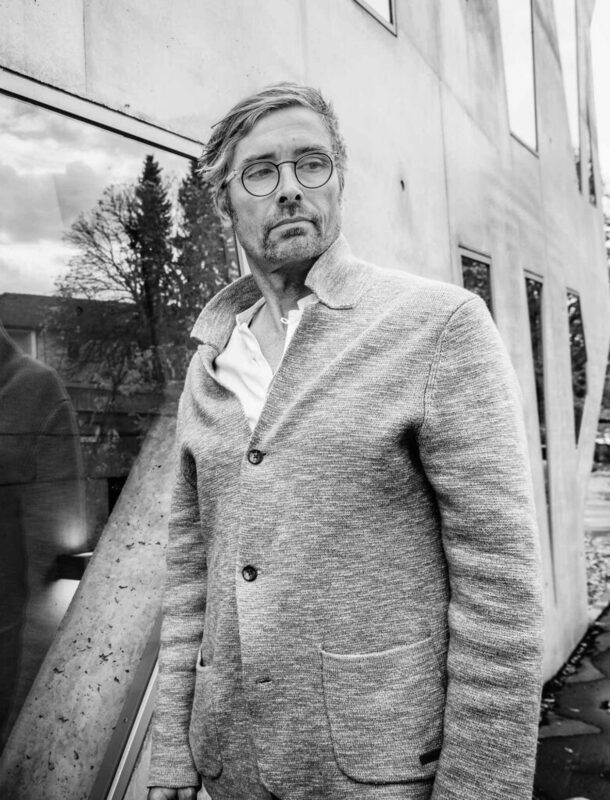 We get the inside scoop on how the Cologne-based label achieves this blend of two worlds during a photo shoot at a special location with founder Martin Lehmann. Hello Martin, for the interview photo shoot we have chosen a rather special location. What’s the connection to the design of the new collection? We are indeed meeting at an incredibly fitting location. Geometric window shapes cut into the washed-out concrete lend this special piece of architecture a light-flooded transparency and three-dimensionality. It suits the building, but also suits our Cut-Out Collection,which we have been developing for two years. We place lines with a high sense of filigree on transparent ‘carrying elements’ that allow for a high comfort of wear. You have been exploring the Cut-Outtheme for a rather long time now. What do you like about it so much? We create a relief-like structure and the effect of ‘two frames in one’ through a combination of designs and colors. It’s a playing field with endless possibilities, true kerosene for the creativity. How do you create this three-dimensionality? Basically, multi-layered plates of material are processed with multi-axial CNC-milling in a way that leaves the colored lines intact. This creates a three-dimensional surface, which is then perfected through an elaborate polishing process. What are the materials you are using in the collection? It’s our own material blend of bio acetate, which is sourced from cotton and wood, so it’s 100% recyclable and bio-degradable. The series of materials by an Italian manufacturer carries the name M49 after a galaxy 60 million lightyears away. A great fit, I would say! The frame you are wearing features a rather bold design, but it only becomes apparent upon closer inspection. Viewed from far away, the frame seems very delicate. That’s the special feature of this technology! 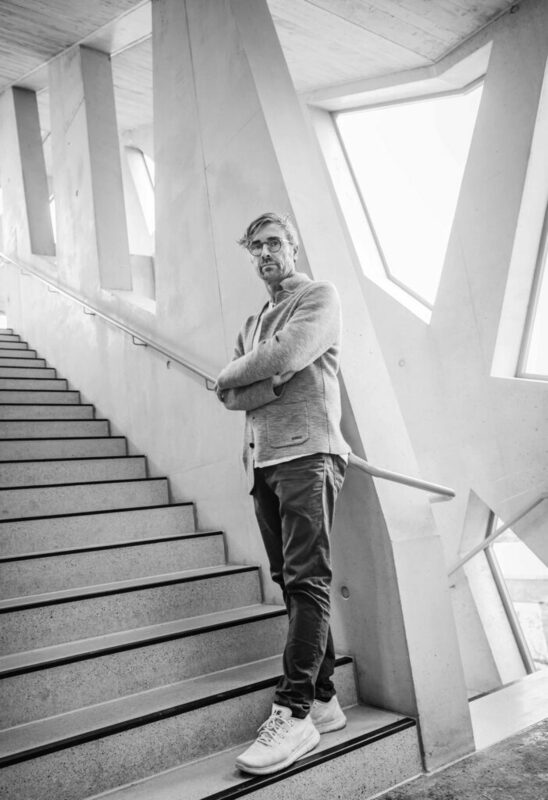 Viewed from a distance, the glasses appear to be hovering over the wearer’s face or seem like a metal frame. Only upon closer inspection the transparent base becomes apparent. We have expanded the transparency of the lenses onto the frame shape and then added individually-designed lines, which seem like metal or floating. Do all models in the collection feature transparent base layers? No, the first generation of Cut-Outs consisted of completely machined geometric forms with cut-outs. We named the sunglasses collection Tattoo, with the underlying idea that the cut-outs would leave a temporary tattoo on the wearer’s skin from tanning under the natural sunlight. That was a pretty far-out concept and also led to the idea of working with transparent base materials instead of cut-outs. The combination of transparent base layers and colored cut-outs also open up entirely new variations in terms of design. What is the attraction and potential behind this concept? In the latest generation of Cut-Outswe have created diverse combination options with colored line patterns. 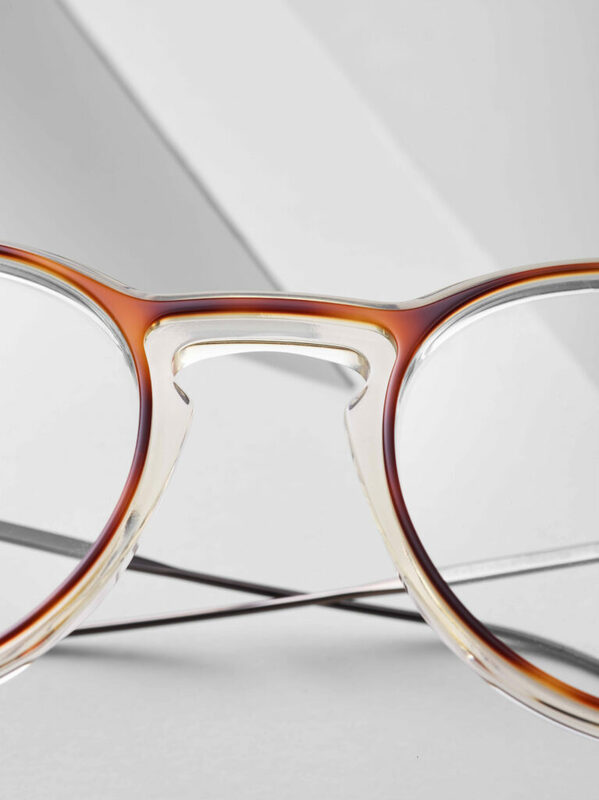 With thin-rimmed lines, we can create a rather delicate effect that was previously solely limited to metal frames, but with the familiar comfort of wear of an acetate frame. And combined with bold lines? The result is a much more expressive frame. The expansion into colored multi-layered plates has multiplied the possibilities between line strength and colors on top of the transparent base, which changes between champagne, clear, gray and rose transparent hues. It’s a playing field we are currently experimenting with. The look is unique but not dominant, even in combination with hefty materials used in base shapes, like in our »Wolf« model. Is that the model you are wearing right now? Yes, it’s my current favorite. Are you keeping the colorways of Cut-Outs rather understated or eye-catching? We are still in the experimental stages, but thin-rimmed shapes combined with color pop have garnered a great response. How many models does the collection consist of? At this point, there are a double-digit number of models at two to six Cut-Out variations each. Is now the perfect time for this type of design? I think it is a great time to break out of the ‘hipster uniform’ to explore new horizons without looking like a clown or alien. So we can look forward to seeing more Cut-Outsfrom MARTIN & MARTIN in the future? 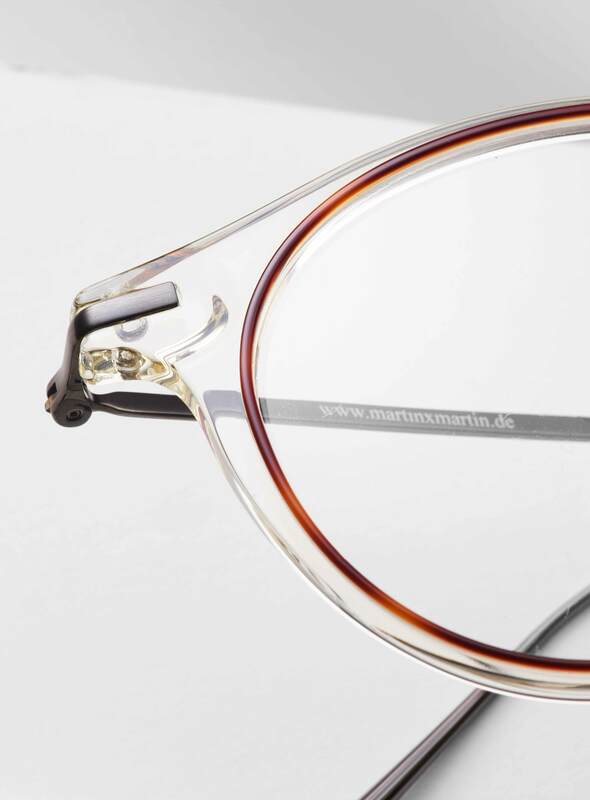 We will of course continue to advance our classic acetate frames in the future, but the look of our Cut-Outs is really unique, successful and special for MARTIN & MARTIN. With that said, the answer is: definitely!